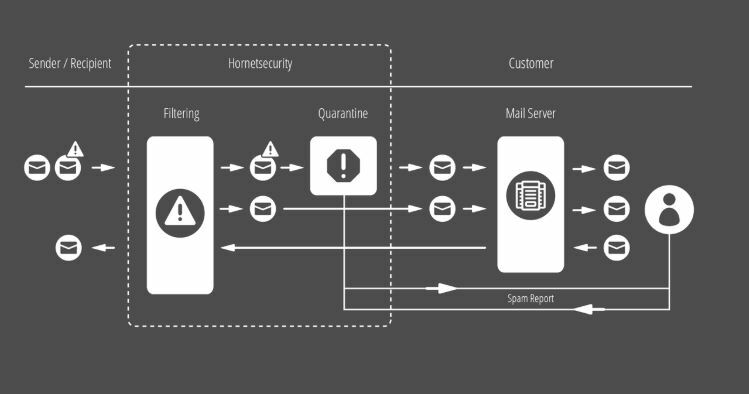 Hornetsecurity protects business against malicious emails, spam, data leakage and DDoS. Small and medium sized businesses looking for easy to use email protection and monitoring. 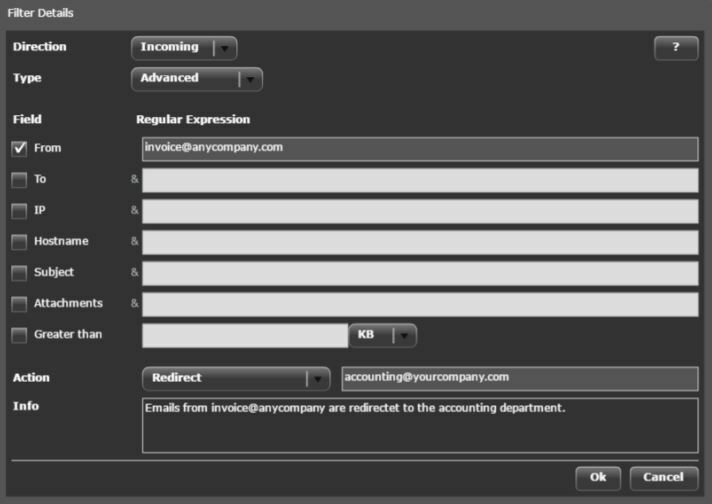 Large organizations looking for the most advanced and granular email security solution. 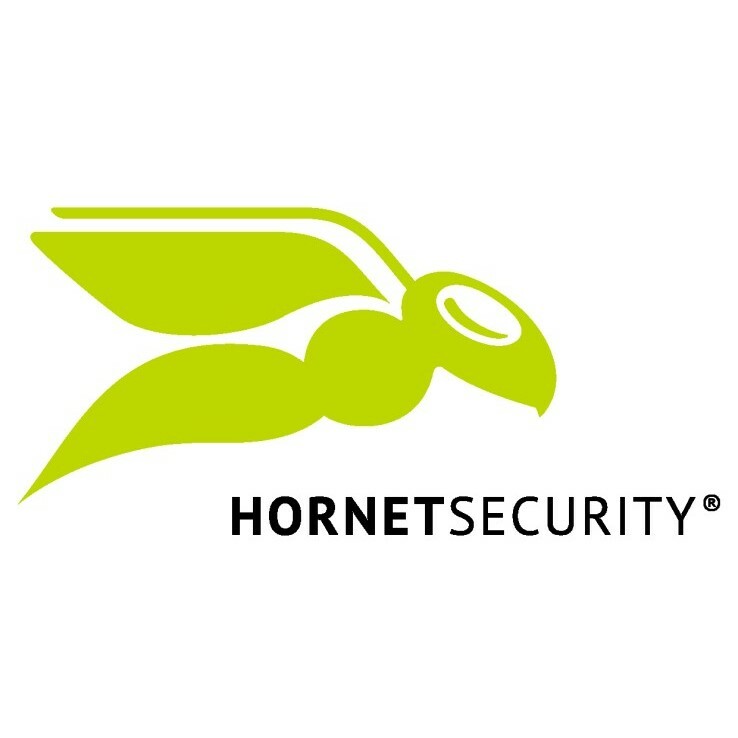 The Hornetsecurity email security service offers an effective solution that is both cost efficient and technically advanced, which allows companies to protect themselves against spam – without the need for extra hardware, software or administrative costs. The service includes comprehensive virus and compliance filters. 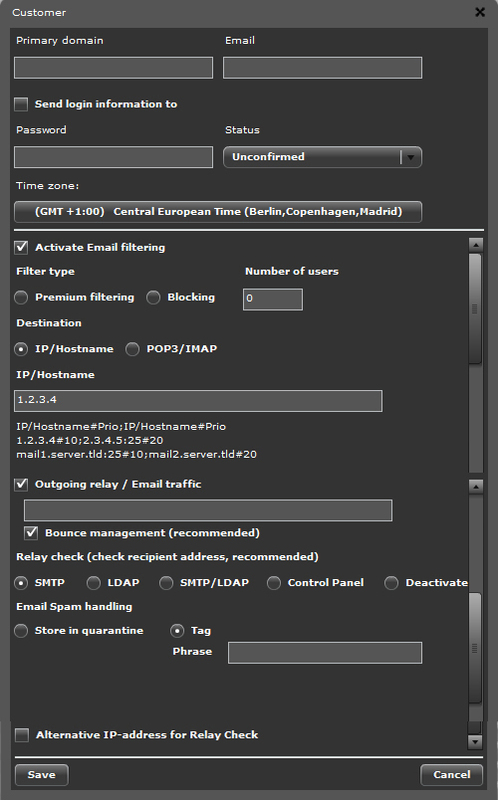 Hornetsecurity acquired Spamina (Spanish email security vendor) in February 2019. The acquisition expands Hornet's technical team to over 200 people and extends their presence in Spain and Latin America. 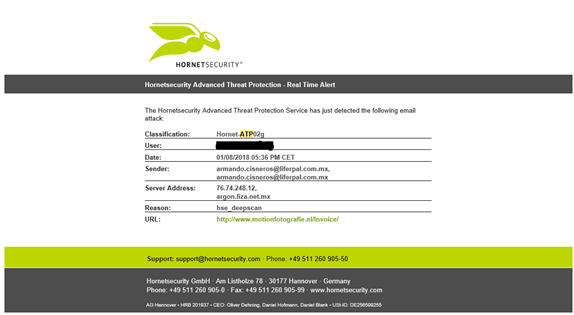 Hornetsecurity offer a platform suited to protecting email threats. They offer businesses strong protection against malicious emails, spam and phishing attacks. A particular strength is their optional Advanced Threat Protection module, which protects businesses against emerging email threats. 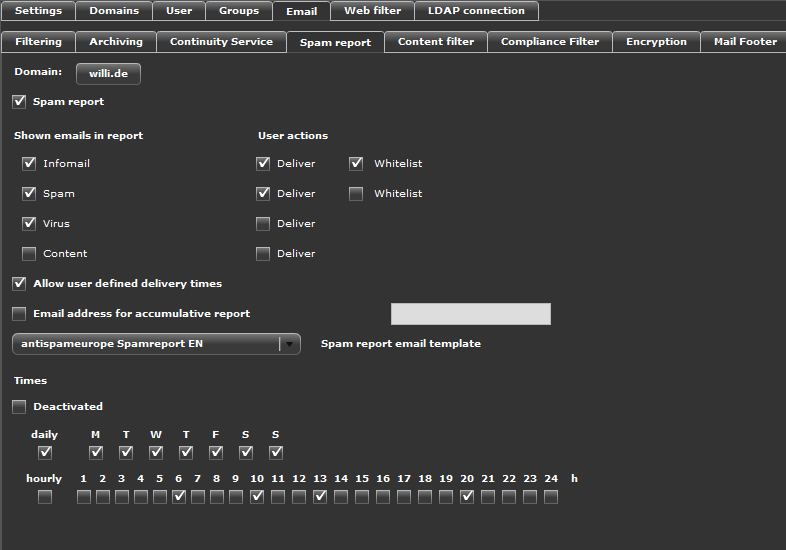 The service has a good level of admin features, and concise reports allow admins to have an overview of their email communications. The drawbacks of this service are that the administrator console is flash based, and there can be delays between policies being submitted, and then taking effect. However, this is an easy to use service, which does offer strong threat protection. Hornet is a good option for organizations that require a solution where data is not stored in the USA. Outside of Germany & Spain, the service is sold mostly through distributors and resellers who are able to provide in-country support. The low cost and ease of use this service means that it’s well suited to small and mid-sized businesses looking for easy to manage security. The service is also popular with MSPs as the service can be white labelled. Small & Medium sized organizations, MSPs.